Sealers are used over approved surfaces to increase weatherability, provide moisture protection, and resist staining while protecting the substrate against freeze thaw cycles and allowing for easy maintenance. 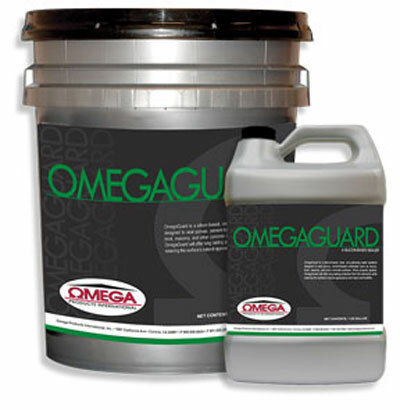 OmegaGuard is a silicon-based, clear, non-yellowing water repellent designed to seal porous, cement-based substrates such as stucco, brick, masonry, and other concrete surfaces. When properly applied, OmegaGuard will offer long lasting protection from the elements while retaining the surface’s natural appearance and vapor permeability. OmegaGuard Plus is a silane/siloxane-based, clear, non-yellowing water repellent designed to seal porous substrates such as stucco, brick, natural and manufactured stone, masonry, concrete, and other cement-based vertical or horizontal surfaces. When properly applied, OmegaGuard Plus deeply penetrates the surface for long lasting protection from the elements, water-based stains, and some oil-based stains while retaining the surface’s natural appearance and vapor permeability. OmegaSeal 1000 is an acrylic-based, clear, non-yellowing sealer for use over a variety substrates, including stucco, acrylic finishes, masonry, and other concrete surfaces. When properly applied, OmegaSeal 1000 forms a continuous protective film over the substrate’s surface to offer long lasting protection from the elements.